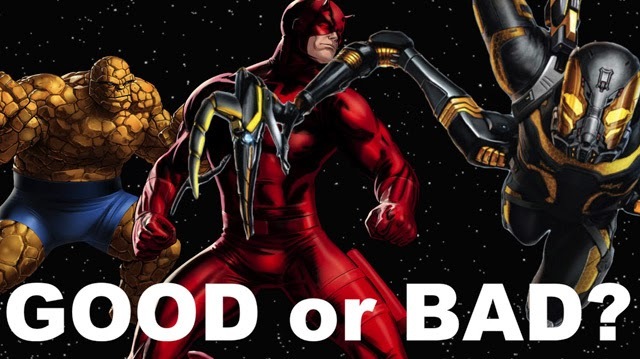 The Thing, Daredevil & Yellowjacket Costumes - Good or Bad? | Warped Factor - Words in the Key of Geek. The Thing, Daredevil & Yellowjacket Costumes - Good or Bad? Over the last few days we've finally seen the new character design for The Thing, appearing in this Summer's Fantastic Four movie, and a glimpse at the costumes for both Yellowjacket, from Ant-Man, and Daredevil.